Our industry does great work for good causes not just in this country but around the world, as this week’s Agents Do Charity shows. 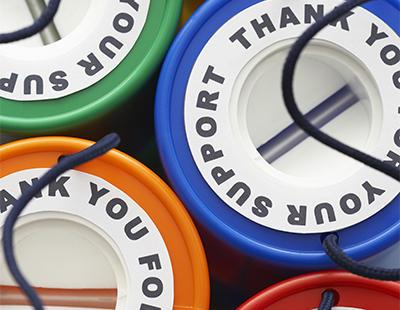 If you want others to know of your fund-raising - and perhaps encourage a few more donations - why not let us know? Just email press@estateagenttoday.co.uk. Now, on with this week’s globe-trotting good work...including a little fund-raising by the people behind EAT too! Chimombo Nursery: After over 20 years at the Touchstone lettings management firm, John Midgley decided to mark his retirement by setting himself a challenge to fundraise £12,500 to build a new nursery in Malawi. Touchstone has a three-year partnership with Habitat for Humanity to build safe homes for vulnerable children and orphans in the rural Chimombo region of Malawi. Over the past 24 months John has led two teams from the firm who have built some of these homes themselves, making a real impact on the community. In addition, John has personally been providing financial support to Chimombo School including providing food and nourishment for the nursery for two to five year old children attached to the school. The nursery had, until then, almost ceased to function because food could not be provided. The provision of a single daily meal of maize and soya porridge has meant that the nursery now has a daily attendance of 94 girls and 65 boys. With this help the nursery continued to expand. But this success meant it had outgrown its rudimentary building. John’s retirement challenge was to raise enough money to build a new nursery building to serve the villages overseen by Group Village Headman Chimombo – potentially reaching out to 450 children, and providing training for care givers together with seed capital for future income generating activities to ensure that the nursery is sustainable for the future. Thanks to the generosity of clients, colleagues, industry friends and match funding from Touchstone, John has exceeded his target and the new nursery building is nearly complete. Many congratulations to John from all at Estate Agent Today and Letting Agent Today, too. Epilepsy Research UK: We’ve already reported on Westcountry agency Saunders & Lingard’s Club Triumph Round Britain Reliability Run - agency director Rob Lingard will be taking part in it to raise funds for this great cause. His 1979 Triumph Spitfire, 'Devon's Best', has been getting a make over with the logos of numerous local companies invited to sponsor parts of the car. Agents Giving ‘Agents Got Talent’: What - talking about Christmas already? Well, Agents Giving are calling for talent video auditions for this year’s ‘Agents Got Talent’ competition. It will be held at The Agents Giving Charity Ball on Friday December 7 at The Grosvenor Marriott Hotel, Grosvenor Square, London. Agents Giving are asking for agents and suppliers to the industry to send in their audition videos NOW to see if they could be in with a chance to display their talents at the ‘Agents Got Talent’ line up for this year. The video auditions so far look amazing, says the charity. act name, agency name, location and contact details. 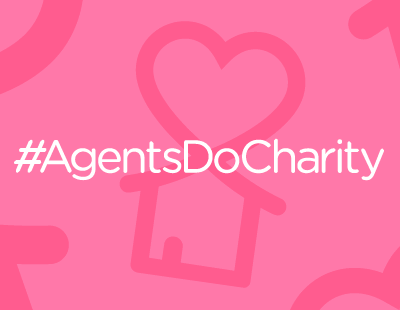 Successful acts will be required to fundraise for Agents Giving. 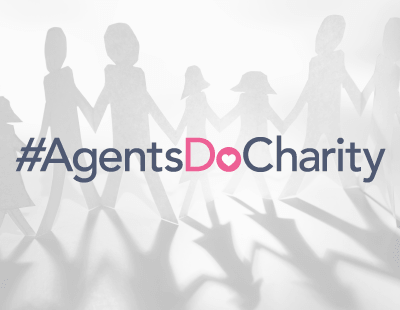 Agents Giving Love Mud Challenge: If you are looking for a great day out this weekend after the Royal wedding or FA cup final then The Agents Giving Love Mud Challenge is taking place this Sunday in Kelvedon Hatch, Brentwood, Essex at the Nuclear Races ground. Please come along and support the many agency and supplier teams taking part in this obstacle challenge race to raise money for Agents Giving. They have all been training really hard over the last few months and fundraising for this challenge and it would be great to come and show your support. It is a festival weekend of fun, food, stalls and entertainment for the whole family including live music, there is the event village spectator zone to watch obstacles and enjoy the activities on offer. It’s £2 cash only for spectators and free to under 12’s, there is also free parking. Hope to see you there - and please give the Estate Agent Today and The ValPal Network teams a cheer! Bedford’s King’s Arms Project: The Fine & Country Foundation now supports 155 homeless and disadvantaged people in Bedford through a £3,370 grant that will provide training, workshops and household goods to vulnerable people. A £3,370 grant to King’s Arms Project will supply white goods for clients living in independent accommodation as part of the Move-On Housing project, and transport for 140 clients to access training courses and workshops in the Pathways to Employment programme. The King’s Arms Project in Bedford is one of 17 homeless charities across the world to receive funding from The Fine & Country Foundation’s grant programme. More than £60,000 was distributed to a wide range of projects. Velindre Cancer Centre: James Douglas Sales and Lettings is holding a Branch to Branch Charity Walk for this great cause. The James Douglas team - along with partner companies Deraph Property Management, Clockwork and Lemon - are this Sunday walking over 15 miles along the Taff Trail from their office in Cardiff to the Pontypridd office to raise money for Velindre Centre. The Clock Tower Sanctuary and Justlife Foundation: The Clock Tower Sanctuary is a drop-in centre which provides emergency support for young people aged 16 to 25. The Fine & Country Foundation has focused funding on the Life Skills courses designed by their partner, Centrepoint. A grant of £2,974 will cover the modules and accreditation, men’s group, women’s group and case-working from June to December 2018. The Justlife Foundation does outreach support for rough sleeping adults in Brighton and Hove. The Fine & Country Foundation’s grant of £3,000 will supply 50 ‘Move-On’ packs for those settling into unsupported temporary accommodation. Each pack is tailored to meet the needs of the individual, from kitchenware and kettles to alarm clocks and food. The Fine & Country Foundation gave more than £60,000 this May to homeless charities across the UK and overseas. The need is increasingly important to Brighton and Hove which now has the second largest homeless population in the UK, following Westminster in London. Homeless charities across the world are eligible to apply for up to £15,000 of funding when The Fine & Country Foundation grant scheme reopens this autumn, throughout October. For more information, please visit www.fineandcountryfoundation.com.